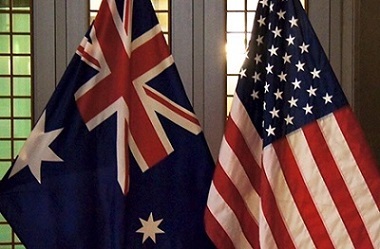 The E-3 visa classification applies only to Australian citizens, holding a valid Australian Passport, and their spouses (must have a marriage certificate because de facto relationships are not recognised in the US for immigration purposes) and children. You must be coming to the United States solely to perform services in a specialty occupation. There will be a maximum of 10,500 E-3 visas issued annually during each fiscal year. Note that spouses and children do not count against the quota nor do applicants extending their E-3 visa, while in the US. What is a 'Specialty Occupation'? 2. The attainment of a bachelorâ€™s or higher degree in the specific specialty (or its equivalent) as a minimum for entry into the occupation in the United States. A Labor Condition Application (LCA) - cannot be the same application used in a previous H-1B application. Academic or other credentials - demonstrating qualifications for the position. Job offer letter - or other documentation from the employer establishing that you will be engaged in a specialty occupation and that you will be paid the higher of the actual or prevailing wage. Occupation License - if required, before you may commence employment in the specialty occupation, you must have the necessary license or other official permission to practice in the specialty occupation. 1. Separate Application - the dependent must make a separate visa application (complete DS-160 Form and select select 'E-3' for dependents), similar process to the principal applicant and then needs to schedule an Interview at the US Consulate. 2. Provide Principal Applicant's documents - must show that the principal applicant is the recipient of an E-3 visa by providing a copy of the visa or, if the applicant has obtained E-3 status in the U.S., the I-797 Approval Notice. 3. Permission to Work - E-3 spouses are entitled to work in the United States and may apply for an Employment Authorization Document (Form I-765) through U.S. Citizenship and Immigration Service (USCIS). When completing the form, applicants will need to select the visa type E1/E2, as E3 is not listed as an option. Note that Children are not permitted to work.